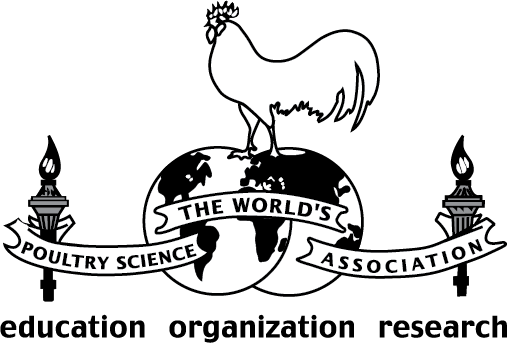 Key players from Argentina’s sector for poultry meat and eggs have taken part in a unique international conference in Buenos Aires, convened to discuss how poultry producing countries in Latin America can move forward on the world stage. They were participating at the inaugural Poultry & Egg Summit Latin America, presented 25 – 27 October 2016 by VIV worldwide in co-operation with the International Egg Commission and the International Poultry Council. Diána Tóth, conference manager for VIV worldwide, acknowledges the involvement of the Argentine associations CEPA (for poultry meat) and CAPIA (for eggs) in the meeting. This extended from conference presentations about the national market by CEPA president Roberto Domenech and CAPIA president Javier Prida, she notes, to the wide support of the associations through their networks and contacts. The two-day conference had been given the central theme of poultry trade perspectives for Latin America. In practice, its main thread was a discussion of the recent revival of Argentina’s poultry prospects after a difficult period for producers nationally. Expert speakers described opportunities for Argentina to build its exports of poultry products in addition to growing the domestic market. One presentation in this context was by Dr. Béatrice Conde-Petit, food safety officer at Bühler, who gave a specifically Latin American emphasis to her remarks about the challenges and possible solutions for sustainability in markets that are starting again. Nan-Dirk Mulder, senior global animal protein analyst with Rabobank International, highlighted the global competitiveness of Latin America’s poultry industries in his presentation. The meeting in Buenos Aires won plaudits from participants both for the quality of the ambiance and for delivering good information on important topics to a targeted audience. From Colombian poultry federation Fenavi, its president Andrés Valencia Pinzón called the Summit “an excellent opportunity to meet colleagues from the Latin American poultry industry and with a very relevant agenda of up-to-date information”. José Eduardo dos Santos, executive director of Brazilian poultry association Asgav, praised the event as “very interesting and productive; this coming together of Europe and Latin America has brought a lot of benefits for market planning and information for disease prevention systems that concern our poultry sector”. In the words of Hans Mulder, managing director of the Dutch-Brazilian Chamber of Commerce, “this was a good example of what such events should be — a perfect match between learning from the latest technical developments, trends and tendencies in trade and investments on the one side and many networking opportunities on the other, realised in an effective yet pleasant setting”. Travis Schaal, technical manager at Hy-Line International, appreciated “the interaction between Latin American and global colleagues, as well as the diverse topics covered in the programme with its focus on trade of products and commodities which was specifically relevant to the region and the worldwide industry”.